Following the resounding success of last year’s first-ever event for the German Enterprise Architect User Community, it is our sincere pleasure to invite you once again on October 7th, 2014 to Munich. Thanks to the generosity of Airbus, this year’s European Enterprise Architect User Group Event 2014 will be held at Airbus Group Headquarters in Ottobrunn, southeast of Munich, Germany. Clotilde Marchal, Head of Systems Engineering Steering Group, will start the keynote with insights into the strategic role of model based systems engineering (MBSE) and corporate initiatives in this area at Airbus Group, and will be followed by Carsten Strobel, Research Team Leader for Model-Based Systems & Software Engineering at Airbus Group. He will explain how only model-based development allows a network of associations to be displayed, analyzed and solved within a multidisciplinary environment, as tightly integrated as possible, yet above and beyond disciplines and domains. Infineon Technologies and the Austrian Virtual Vehicle Research Center will concentrate their joint speech on the use of Enterprise Architect in the automotive sector by presenting the main findings of the project VeTeSS. Furthermore, the organizers will also present interesting topics: Ian Mitchell from Ability Engineering will talk about "Models to Shout About" and Phil Chudley from Dunstan Thomas will have a speech on "Blocks, Ports and Their Connections - A Practical Approach to SysML 1.3 Modeling using Enterprise Architect". This article introduces the OMG SysML modelling language, dedicated to complex systems combining software and hardware realisations. SysML, adopted in 2006 by the Object Management Group, provides a vocabulary suitable to Systems Engineering e.g. by modelling Blocks instead of classes. SysML uses a subset of UML2 and defines its own extensions, making it a smaller language that is easier to learn and apply. UML, the standard modelling language used in the field of software engineering, has been tailored to define a modelling language for systems: SysML or Systems Modeling Language. 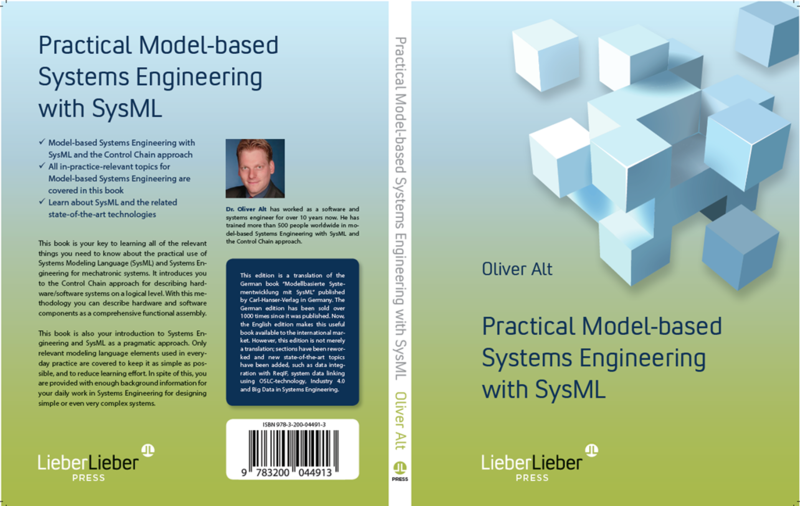 This article is intended to provide a non-exhaustive presentation of SysML including some background about Systems Engineering and SysML, and a review of each SysML diagram and modelling techniques. 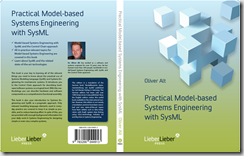 The article "SysML Modelling Language explained" is available from the following PDF document (size: 747 KB).